In its natural state kaolin is a white, soft powder consisting principally of the mineral kaolinite, which, under the electron microscope, is seen to consist of roughly hexagonal, platy crystals ranging in size from about 0.1 micrometre to 10 micrometres or even larger. Kaolin as found in nature usually contains varying amounts of other minerals such as muscovite, quartz, feldspar, and anatase. When kaolin is mixed with water in the range of 20 to 35 percent, it becomes plastic (i.e., it can be molded under pressure), and the shape is retained after the pressure is removed. 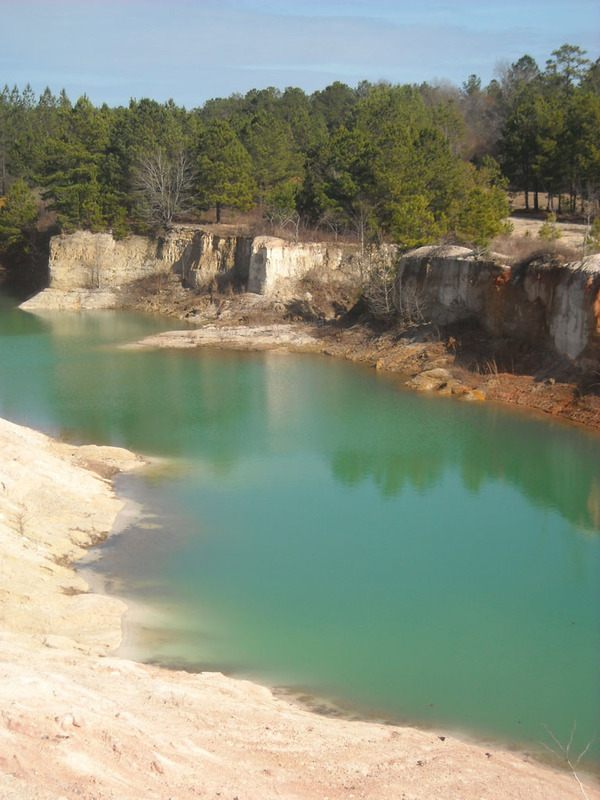 With larger percentages of water, the kaolin forms a slurry, or watery suspension. The amount of water required to achieve plasticity and viscosity varies with the size of the kaolinite particles and also with certain chemicals that may be present in the kaolin. Kaolin has been mined in France, England, Germany, Czech Republic, and in the United States, where the best-known deposits are in the southeastern states. Kaolin is used extensively in the ceramic industry, where its high fusion temperature and white burning characteristics makes it particularly suitable for the manufacture of whiteware (china), porcelain, and refractories. The absence of any iron, alkalies, or alkaline earths in the molecular structure of kaolinite confers upon it these desirable ceramic properties. In the manufacture of whiteware the kaolin is usually mixed with approximately equal amounts of silica and feldspar and a somewhat smaller amount of a plastic light-burning clay known as ball clay. These components are necessary to obtain the proper properties of plasticity, shrinkage, vitrification, etc., for forming and firing the ware. Kaolin is generally used alone in the manufacture of refractories. Substantial tonnages of kaolin are used for filling rubber to improve its mechanical strength and resistance to abrasion. For this purpose, the clay used must be extremely pure kaolinite and exceedingly fine grained. Kaolin is also used as an extender and flattening agent in paints. It is frequently used in adhesives for paper to control the penetration into the paper. Kaolin is an important ingredient in ink, organic plastics, some cosmetics, and many other products where its very fine particle size, whiteness, chemical inertness, and absorption properties give it particular value.